Larry Hundt entered into the motor coach travel industry by chance as a university student in the 1960’s, and remained in the travel business for life — and not a bad business either. Today, running over 50 coaches, Larry and Lorna Hundt and Great Canadian Holidays & Coaches represent a Canadian travel trademark synonymous with innovation, operating the most modern fleet in Ontario, offering a broad array of multi-day tours geared towards the widest range of travellers. While the travel coach industry went through a dramatic number of changes since the company started in 1984, the Hundt family and Great Canadian Holidays & Coaches stayed on the top of the industry in Canada through creativity and innovation. The Canadian Business Journal spoke with Larry and Lorna Hundt, and their daughter Michelle, about their dedication to the Canadian motor coach travel business. Things started to change when the company decided to give its coaches more character by painting the scenes of Canada on the company coaches. The first “Canada from Coast to Coast” airbrush painting appeared in 1992, and was dedicated to the Canadian unity, marking the coach with the number 1867 — the year of Confederation. 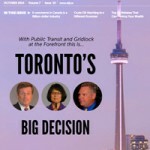 With the referendum in October 1995, with an imminent threat of separation of Quebec, the company worked with Ontario political parties at the time, and was hired to drive to Montreal for the rally only days before the historic vote. Standing centre-stage during making of Canadian history, the Hundts made a commitment to dedicate all company coaches to Canada and to promote Canadian pride. The company also changed its name to Great Canadian Holidays & Coaches, and the coaches draw the attention of bystanders ever since as the pieces of art they are. 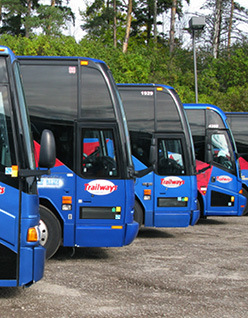 The company continues to grow its business, building a Canadian tradition of coach travel. While the company diversifies into maintenance and truck and car maintenance businesses, the core values behind its service remain the same — providing high-value memorable experiences every day on every road.